* Perpendicular Hotspot Chains? Real Science Radio's Bob Enyart and Fred Williams present the geology rebuttal to the "hotspot" explanation of the formation of the Hawaiian island chain. For example, hotspot volcano chains like in Hawaii and the Bermuda Rise have chains at large angles and even almost perpendicular to the claimed movement of their plates. 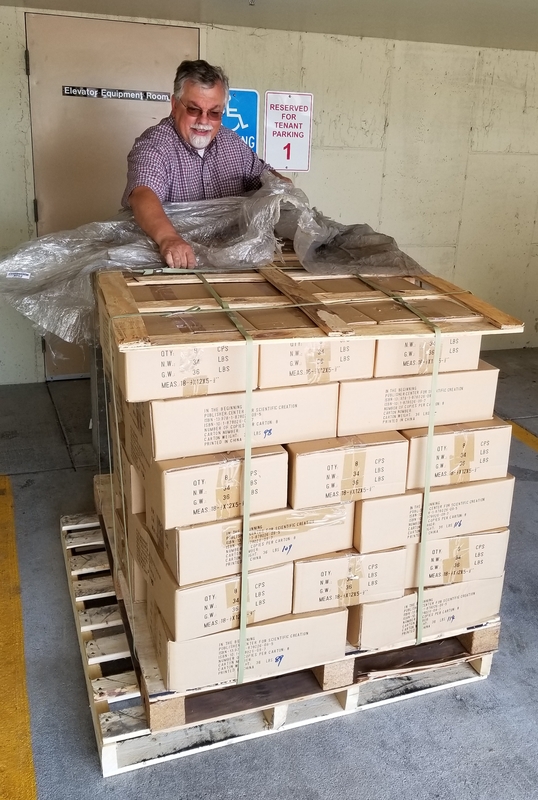 - NP Chief Ranger: Listeners appreciated that RSR's understanding of volcanism was affirmed last week by long-time national park chief ranger Mark Tanaka-Sanders from Hawaii's volcanic Haleakala NP when he joined Enyart and Williams in studio. - Surtsey Island: The powerful counter-example of Surtsey was among the positive comments we've received about last week's broadcast when mainstream scientists admit that Surtsey, an island birthed only 55 years ago on November 14th, 1963, formed many surface features in just a few decades rather than in tens of thousands or millions of years that geologists have been taught would be required, of course thereby falsifying much of what the geology textbooks claim. - Contrast in Cubic Miles: The largest eruption of the last few thousand years produced only 36 cubic miles of magma whereas the lava fields from earlier history (i.e., from during and shortly after the global flood) produced from thousands to millions of cubic miles of magma! 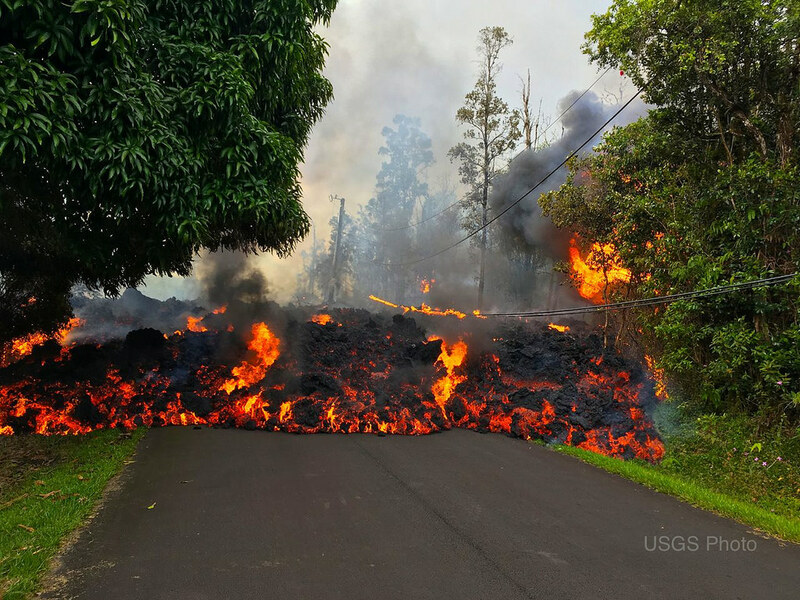 This six orders-of-magnitude contrast between modern and older lava flows provides evidence against the "uniformitarian" doctrine of secular geologists. * Part 1: Today's program sufficiently summarizes last week's opening to RSR's series on the formation of chains of volcanoes. If however you're a Cross-Your-Ts and Dot-Your-Is kind of person, we invite you to click on back and to last week's program and enjoy! * Help Us Reach a Minor YouTube Milestone: Our YouTube channel is closing in on 450,000 views! Perhaps you can mosey on over to our BEL/RSR YouTube channel (where you can see the current # of views), then click on the "Home" button to get ot the BEL videos homepage, and select a video to watch to help us hit this next goal! * Loosely Related: Lava Water Swim & CPT. 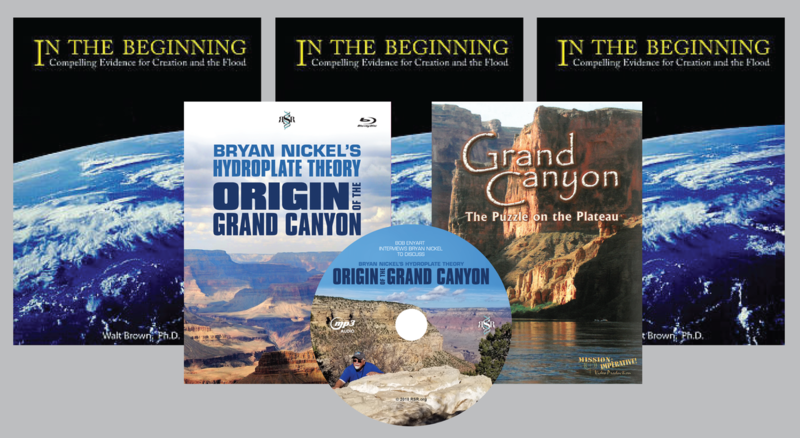 At rsr.org/cpt we expose the fallacy of the flood model known as Catastrophic Plate Tectonics. CPT is an alternative to the RSR-supported fountains-of-the-great-deep model known as the Hydroplate Theory. CPT suggests that massive quantities of magma breaking out onto the ocean floor would cause supersonic steam jets shooting into the upper atmosphere. That is one of many of the model's claims challenged by Real Science Radio and Dr. Walt Brown's Hydroplate Theory model. This video doesn't show "massive quantities" of magma but, nonetheless, we think it's a reminder of one of the many weaknesses of CPT. Warning: Aside from the other obvious dangers with swimming where lava enters the sea, people have been killed by the steam produced, which geologists call laze, which contains hydrocloric acid and fine particles of volcanic glass. 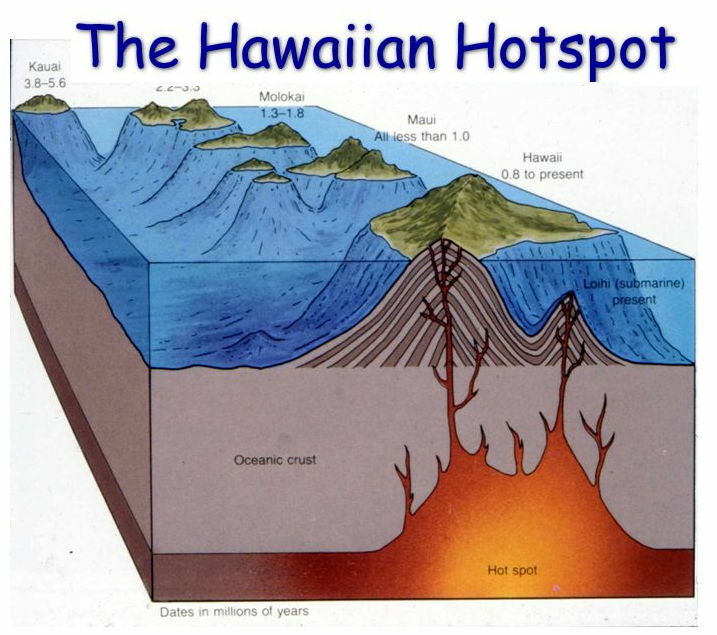 Real Science Radio's Bob Enyart and Fred Williams present the geology rebuttal to the "hotspot" explanation of the formation of the Hawaiian island chain. For example, hotspot volcano chains like in Hawaii and the Bermuda Rise have chains at large angles and even almost perpendicular to the claimed movement of their plates. Science, doesn't care what you "believe". Nice work User.